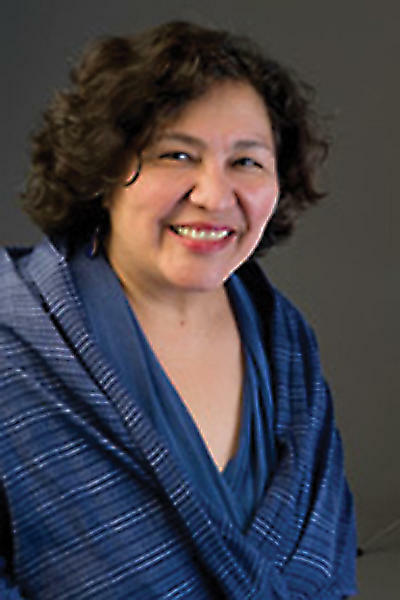 Sylvia Puente is the Executive Director of the Latino Policy Forum in Chicago. She was on the SIU Carbondale campus Monday. Sylvia Puente is the Executive Director of the Latino Policy Forum which is a non-for-profit in Chicago that advocates for Latino issues. She was on the SIU Carbondale campus at the Paul Simon Public Policy Institute. She spoke about how the growth of the Latino community in Illinois. Though Puente says the Latino population has grown by more than half a million people in the past 12 years, there is still a lot of room for improvement in how they are being treated. Puente says she hears from Latino students who tell her that they feel their school teachers don't care about them and have low expectations. Puente says that needs to change. Part of her job is to help improve educational outcomes for children. She is a part of "Advance Illinois," an agency to improve education in Illinois and is a member of the Illinois State Board of Education's Education Funding Advisory Board.